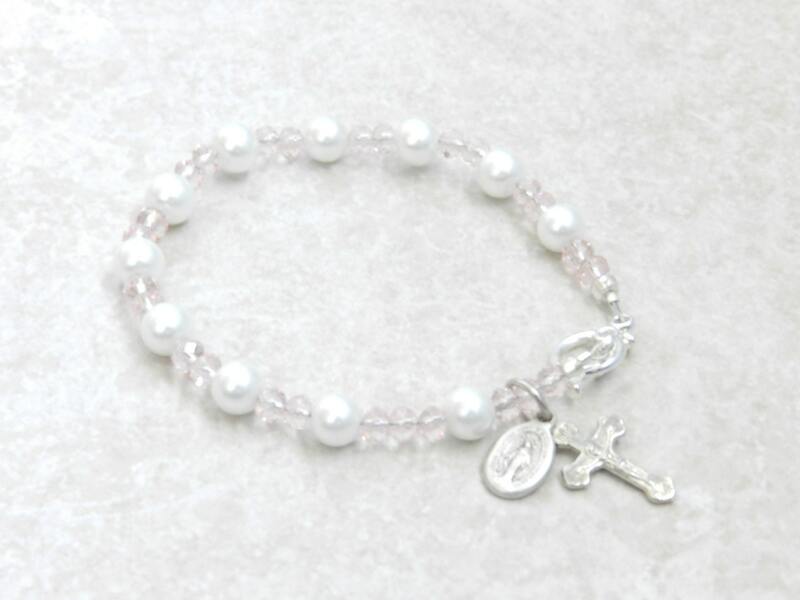 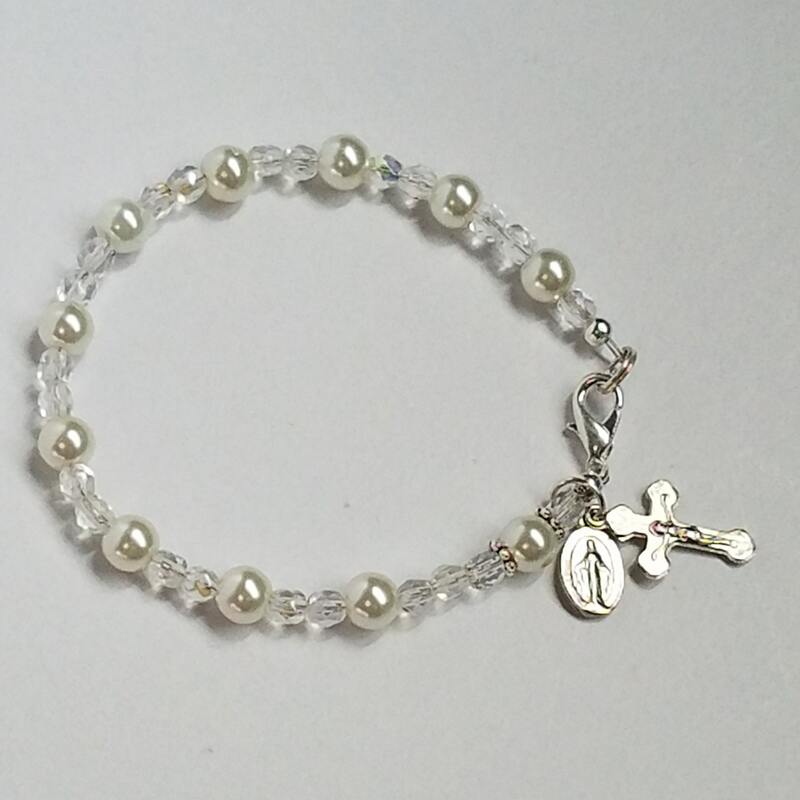 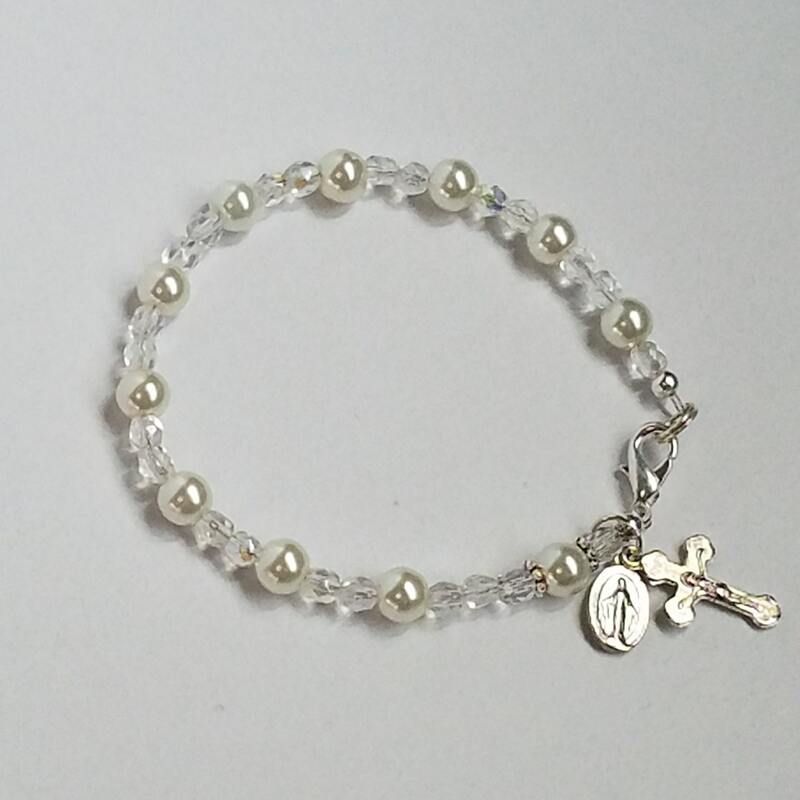 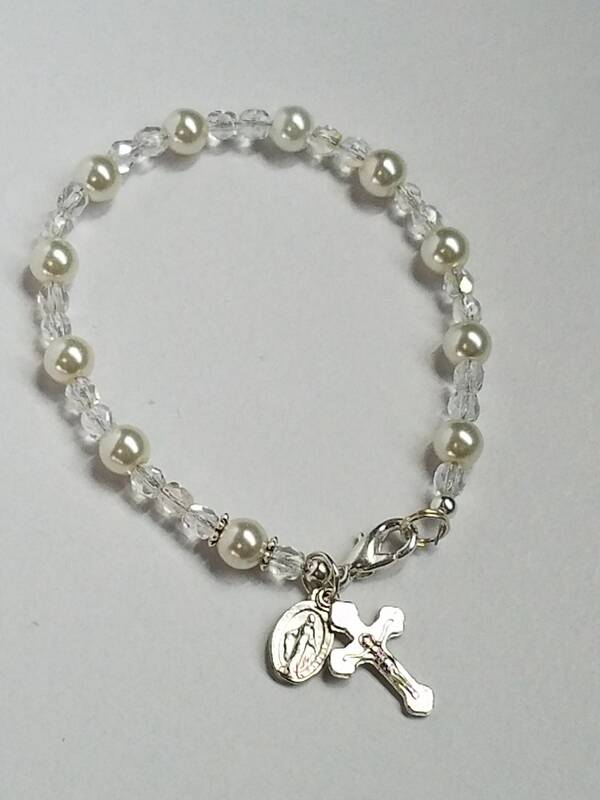 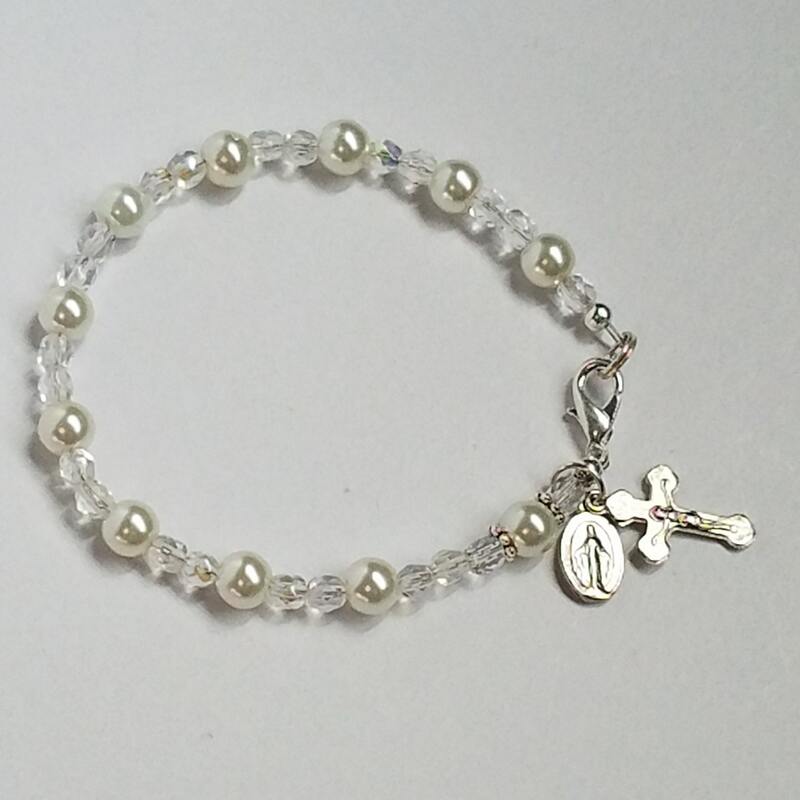 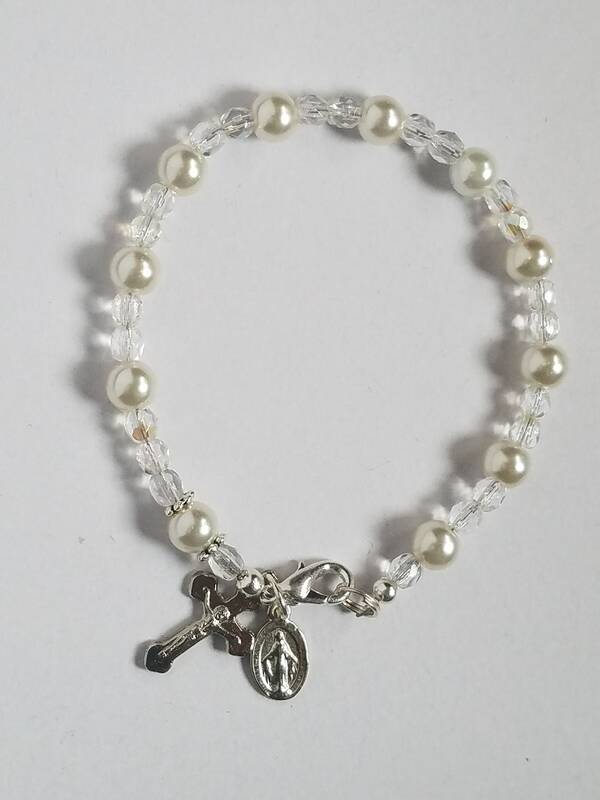 First Holy Communion Gift, Confirmation Gift, Baptism Gift Catholic Rosary Bracelet, Crucifix and Miraculous Medal, Glass Pearl Bead Bracelet, Gift for Her. 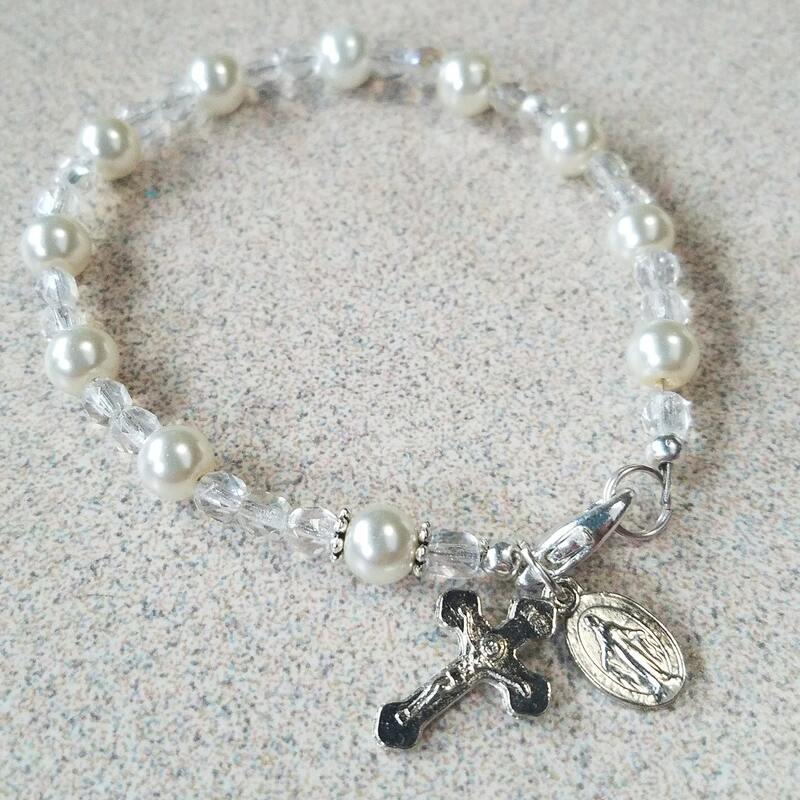 Czech fire-polished glass, Crucifix / Cross and Miraculous medal double sided charms. This Lovely rosary bracelet is a gift that will help grow faith and remain stylish for years to come. 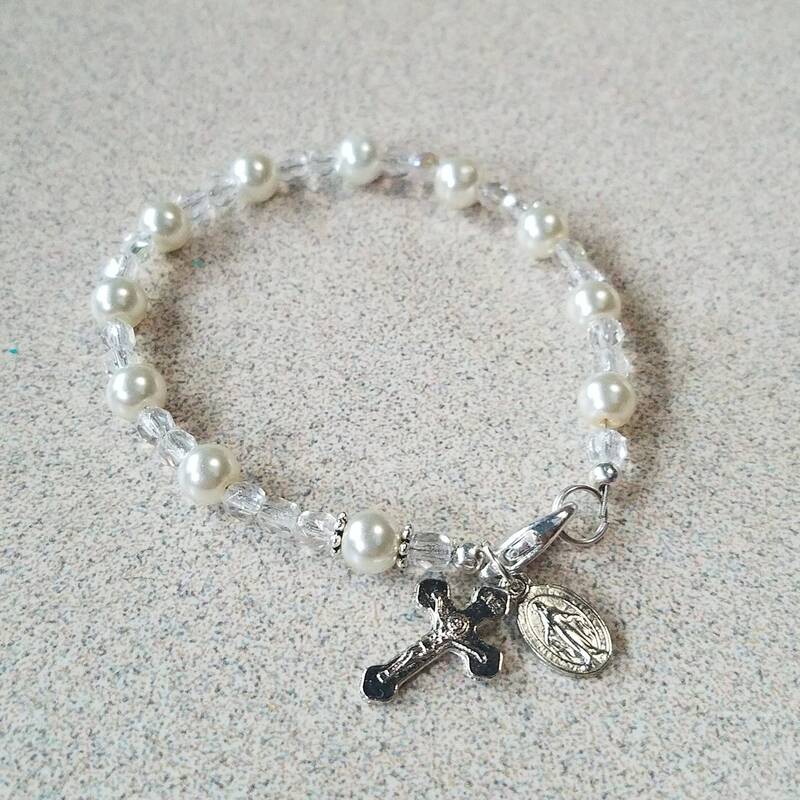 A wonderful Sacrament gift!